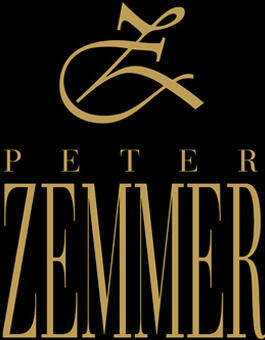 Since the establishment of this family business in 1928, the Peter Zemmer winery has been producing top-quality wines on some of the finest estates in and around Cortina s.s.d.v. in Alto Adige – South Tyrol. Peter Zemmer's extensive experience, detailed and innovative knowledge -- together with the perfect natural environment -- guarantees the quality wines have an expressive character and are in harmony with the surrounding nature. The expressive character of the wines is formed in the vineyard. Intensive nurturing of the grapevines, as well as the careful selection, are the essential prerequisites for the authentic wines. Peter Zemmer attaches great importance to the production of natural wines that accurately reflect their character of origin and expressively unite the unique terrain. There is a fascinating interplay between tradition and innovation, man and the surroundings, and sense and sensuality in these wines. It is with this passion and sensitivity that Peter Zemmer brings his wines to life. Decanter 95Crisp, rich, and particularly elegant with rich aromas and excellent acidity. Flowers blend with tones of green apple and spices on the nose and the palate shows melon and pear- driven fruit notes in a full- bodied style.